The UK is globally renowned for its entrepreneurial ecosystem that encourages innovation, scale-up and growth. Boasting some of the world’s leading disruptive companies, including digital bank Revolut and food delivery service Deliveroo, the country was recently ranked the fourth most promising market for disruption, technology and innovation by KPMG[i]. And the so-called ‘start-up revolution’ shows no signs of slowing down – between 2012 and 2017 there were 3.5 million start-ups launched across the country. While there are many reasons why the UK has been able to nurture entrepreneurs and start-ups into becoming fully-fledged SMEs, one of the key factors has been access to finance. In particular, the exponential rise of the UK’s alternative finance sector has been vital;the alternative finance market grew by 43% in 2016 to an estimated value of £4.6 billion. Importantly, nearly three-quarters of this capital ended up being used to fund SMEs. For newly-launched and scaling businesses, one of the first hurdles they face is securing investment to cover both their initial operational costs and long-term growth prospects. Stringent lending measures imposed by high street banks can often make traditional avenues of credit particularly difficult to access. However, for those with only a basic understanding of alternative finance, seeking funds from this sector can seem overwhelming. So, what do start-ups need to be aware of when looking to alternative finance to help fund their business? Today, there are a wide number of alternative finance options available to UK start-ups, but the difficulty often lies in choosing the right type of model most suited to the progression of the business. From the beginning, a distinction must be made between equity or debt finance – is the start-up prepared to offer a share of its ownership to investors for funding, or does it prefer to pay back the capital raised with added interest? More often than not, start-ups will opt for equity finance due to the expertise and knowledge it can bring to the business during the formative stages. This was certainly the case with GoKart. As part of a successful equity raise, we were also able to receive successful backing from high-net-worth’s (HNWs), including a Lord from the House of Lords; chairs from Barclays, Credit Suisse and Morgan Stanley;the founder and CEO of London restaurant chain Tossed; and the founder and former CEO of the UK’s largest food procurement company PSL. For a company seeking to disrupt the Fundtech industry, having these investors on-board has been invaluable to GoKart’s scale-up success. Not only have they offered vital support and mentorship, they have also opened up the business to new networking opportunities. Of course, when it comes to equity finance, a start-up must be disciplined in terms of the stake of the business it is willing to offer to investors. Failing this, the leadership team’s ownership could be significantly diluted, making it more difficult for issues to be quickly addressed and resolved – not to mention being of potential detriment to morale and motivation. On other hand, debt finance can also be used for fast-growth innovative businesses. While traditionally more difficult to secure than equity finance, debt can be offered to those companies that demonstrate immense growth potential. In most cases, lenders will need to be confident that the company will be able to pay back the loan with interest through the revenue generated. Typically, debt finance is more suited to those companies in their Series B or later stage funding rounds – firms that have become larger and more established. It seems not a day goes by without a UK business raising over a million pounds to support their expansion. While this is an impressive feat, and indeed testament to the UK’s thriving alternative finance industry, it is important for start-ups not to slip into the mentality of “the more funding, the better”. Before a funding round begins, clear and attainable targets must be set. Raising the bar too high could not only damage the reputation of the brand should the target not be met; it could also force the business to inefficiently spend money in areas they weren’t initially planning to. The fundamental rule here is not to be carried away – a long-term funding strategy that clearly defines how and where the raised capital will be used is often the best option. This measured approach to fundraising has been a key factor to GoKart’s funding success. Having raised over £525,000 to date, from multiple sources as mentioned, the company has put together an experienced board of investors who benefit from knowing how to run a successful funding round. This is already proving valuable as the business is in the midst of its next funding round. Of course, the need for investment is not something unique among start-ups – established companies will also need to consider external finance models to consolidate and expand their share of the market. By taking note of the above advice, businesses of all sizes will be able to take advantage of the alternative finance opportunities currently available and find a model best-suited to their long-term growth plans. 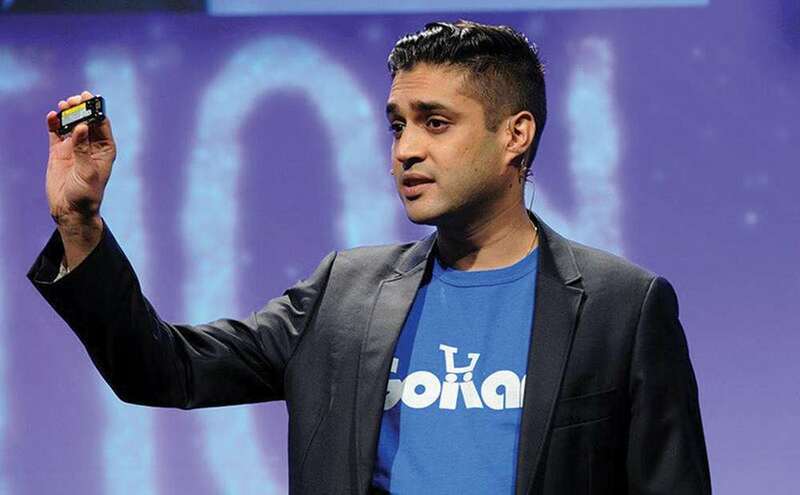 Anx Patel is the CEO and founder of GoKart, an app that enables restaurants to order ingredients from high quality suppliers easily, quickly and for less money. GoKart offers restaurants savings of up to 20% when ordering supplies through its app, allowing independent restaurants and growing chains to enjoy the same discounts offered to larger chains.